The 4-hour film by Lav Diaz is the country's official entry to the 87th Academy Awards for the Best Foreign Language Film category. 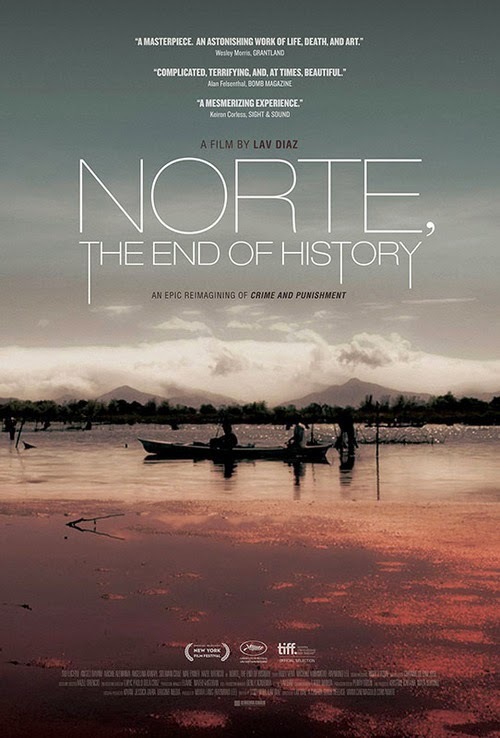 The "Norte, Hangganan ng Kasaysayan (North, End of History)" has been selected to compete next year. Lav Diaz or Lavrente Indico Diaz is an acclaimed Filipino independent filmmaker, born in Datu Paglas, Maguindanao, Mindanao, Philippines, according to Wikipedia. "Norte, Hangganan ng Kasaysayan" was the Best Film, Best Screenplay, Best Cinematography at the 44th Gawad Urian, including Best Actress for Bayani. The Film Academy of the Philippines (FAP) will send the film to Oscars in the category mentioned above. All official nominees will be announced in January 2015, while the awards ceremony scheduled on February 22. ABS-CBN News made a review for the said film and you can read it here. If you like the information about Norte, Hangganan ng Kasaysayan, kindly bookmark this page and share to your joined social networking sites. Comments or suggestions about "'Norte, Hangganan ng Kasaysayan' Official Entry to Oscars 2015" is important to us, you may share it by using the comment box below.